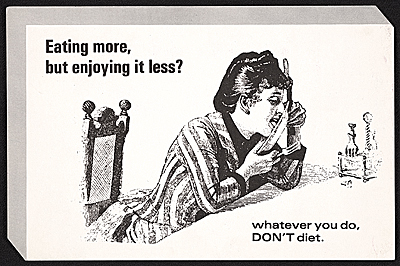 Dieting remains a popular choice for the uninformed when attempting to lose weight quickly. It’s obvious, we as Americans are in the mist of a serious health dilemma. Being overweight or obese describes close to 70% of the American population; disturbing to say the least. Therefore this number is specific to the individual. It is helpful to know how many calories your body requires to maintain a healthy body weight. There are many BMI calculators available on line, find one and input the pertinent information to obtain your daily caloric needs. Why can’t I just go on a diet? What is the proper way to reach and sustain my ideal body composition? If you have made the decision to improve your health through weight reduction, congratulations, you will applaud your decision shortly. The benefits gained from weight loss are generally realized within weeks of beginning. Some will be noticed even faster. The initial benefits involve how one feels physically and emotionally. First and foremost understand you are embarking upon a new lifestyle. Secondly, understand this is not something you have to achieve in one day, one week or even one month; gradually adjust eating and activity habits. For some, this will mean incorporating physical activity where none previously existed, for others it will mean increasing current activity levels. Begin to include more healthy foods into your daily menu. Fruit, vegetables, legumes, nuts, seeds, whole grain breads and pastas and mono and poly-unsaturated fats should make up the bulk of your nutrient intake, while reducing or eliminate processed foods from your diet. Eat more frequently, 4 to 6 times per day including snacks. Raisins, nuts, yogurt, fruit or veggies, smoothies, whole grain crackers, whole grain chips, and cheese are options you may consider. Don’t over eat when snacking; the goal here is to keep your metabolism up throughout the day. Develop a support system including family, friends and co-workers to help keep you on track. Set short-term, realistic goals. Allow yourself foods you like, to avoid feeling deprived, but remember moderation is the key. Take it one day at a time and you’ll do well. Remember, each day that passes is one day you can either move closer to an improved quality of life or further away, the choice is always yours!